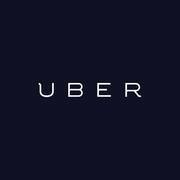 As part of the JSON response from Uber API, you also provide a surge coefficient. Do the low/high price estimates returned by the API already are multiplied by the surge coefficient when the API returns the values, or does a developer need to multiply the estimates by that coefficient in the code to get the current prices? Thanks! The price estimates returned by the API will always have surge pricing included in the estimate. You do not need to use the surge multiplier to calculate the price estimate, it is just for display purposes so you can inform your users that surge pricing is in affect.